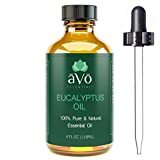 Store Home » Essential Oil Uses » Colds & Congestion Essential Oils » Silky Scents EO146-1OZ-30ML 100 Percent Pure Therapeutic Grade Eucalyptus Globulus Essential Oil - 30 ml. Silky Scents EO146-1OZ-30ML 100 Percent Pure Therapeutic Grade Eucalyptus Globulus Essential Oil - 30 ml. A unique combination of essential oils that eases sinus congestion. Silky Scents EO104-5ML 100 Percent Pure Therapeutic Grade Rosemary Organic Essential Oil - 5 ml. Aromatherapy Properties: (Uses)The 1. 8 cineol chemotype of Rosemary is best used in connection with pulmonary congestion and to facilitate elimination from the liver and the kidneys. It is an expectorant and an antibacterial especially on staph or strep germs. Indicated for earaches sinus-bronchial-pulmonary infections and all aspects of the ear nose and throat. Blends well with: Basil Sweet Bergamot Cedarwood Atlas Frankincense Ginger Lemon Orange Sweet and Peppermint. Features100% Pure Essential Oil Raw Material - Rosemary Botanical Name - Rosemary CT Cineol Therapeutic Grade Capacity - 5 ml.